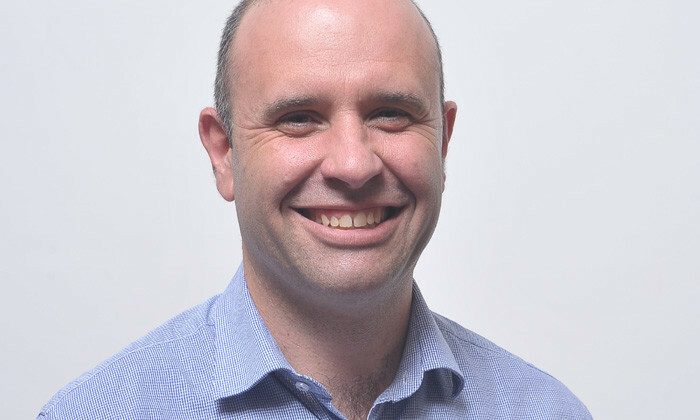 Tristram Gray, VP and head of HR for Ericsson South East Asia and Oceania, chalks out the four key campaigns that have driven above-average engagement rates at communications technology major. The value of professionalism, respect, and perseverance are the foundation of the Ericsson culture, guiding us in our daily work – how we relate to people and how we do business. Our values are also at the very heart of our retention philosophy. In order to keep the best talent, Ericsson continuously strives to foster a collaborative environment and ensure our employees are highly engaged. In doing so, the HR function for Ericsson South East Asia and Oceania supports more than 6,500 people in 14 countries who, in turn, support our many customers. For the past four years we have had a targeted global focus on the level of employee engagement tracked via an annual survey we call Dialog. Our aim is to make sure we are in touch with how our employees think and feel about working for Ericsson and how the experience has been. This survey has not only provided us with valuable data and input on what actions we need to drive to improve employee engagement, but also allowed us to benchmark our performance with other leading global companies, and enabled us to track our improvements over time. The qualitative feedback provides a wealth of grassroots insights, and has been instrumental in initiating changes and improvements in the countries we operate as well as certain policies and the way we work. Alongside engagement we have also tracked how high performing we are as an organisation through the Performance Excellence Index and starting this year we will have an increased global focus on the same to support the execution of our 2020 strategy. The Performance Excellence Index measures employees’ views of aspects central to the successful execution of our Networked Society strategy: quality, feedback, involvement, development of our employees and continuous improvement. The Career and Competence Model (CCM), an internal career mapping tool, was launched in 2012 to ensure that every one of our 116,000 people globally can visualise how their career can progress in a consistent and clear way. It spells out the descriptions and expectations of all job roles in Ericsson, with corresponding stages of maturity of skills as well as responsibilities. The model maps out career opportunities and competence requirements in the whole organisation that is transparent to line managers and employees. Our global female workforce for 2015 is 22%, with the percentage of female leaders at 18% and percentage of female executives (top 250 leaders) at 22%. It’s a vital part of ensuring that all our people have visibility of the options they can pursue within Ericsson, and enjoy an exceptional career experience, enabling informed decisions about how they can develop themselves to achieve their career aspirations with Ericsson. Ericsson is a true believer in encouraging every employee to enjoy the right work-life balance. Our aim is to offer every employee the resources, support and tools they need to perform their role effectively. We empower our people to manage their time and work effectively and, wherever possible, we promote flexible working opportunities and family friendly policies. In 2015, we released our regional flexible working framework that reflects the agile and flexible environment we work in. This framework outlines options to balance work and personal commitments, thereby improving motivation and increasing business performance and competitiveness, without disrupting operating efficiency. This is implemented per local guidelines and legislation where applicable, aligning to the business needs. Part time arrangements: Where an employee works fewer hours than the normal contracted hours of an employee undertaking a comparable role on a full time basis. We acknowledge that diverse teams are high-performing and innovative, so we make sure that each of our team members feels they are truly valued and welcomed. In order to help accelerate progress towards better gender balance, we set a goal that by 2020, women will make up 30% of our employee population, reflected in leaders and executives. This is an important step towards achieving successful, diverse teams. Our global female workforce for 2015 is 22%, with the percentage of female leaders at 18% and percentage of female executives (top 250 leaders at Ericsson) at 22%. In South East Asia and Oceania, 25% of our regional leadership team and 21% of our current overall workforce is female. In 2015, our employee engagement was at 79% as measured through the Dialog survey – way above the global benchmark – and a four point increase from 2014. Whilst the ambition level we set of 30% is challenging, we will continue our efforts to further strengthen our numbers and are confident we are moving in the right direction. We do this not only by retaining and developing existing female talent but also by collaborating with a variety of partners, such as TechWomen and Girls in ICT, to engage the next generation of women in ICT. Overall, the diversity and complexity of the region has been our biggest challenge. We have countries with varying levels of maturity when it comes to technology adoption, different regulatory and legal frameworks, and different economic and cultural profiles. In 2015, our employee engagement was at 79% as measured through the Dialog survey – way above the global benchmark – and a four point increase from 2014. In effect, this indicates eight out of 10 employees are highly engaged. The Performance Excellence Index, which measures areas critical to maximising our success and to continue building trust in the future of Ericsson and further drive employee engagement, was at 80% in 2015, a 3% increase from previous year. This too, effectively indicates eight out of 10 employees believe we are doing a good job managing these elements. I think it’s worth mentioning that Ericsson – both globally and in South East Asia and Oceania – ranks in the top quartile globally when it comes to employee engagement – which I consider to be a very good lead indicator of employee retention. This supports our current average tenure for Ericsson South East Asia and Oceania of 7.6 years. For a fast-evolving industry, this is a very good rate. Our retention rate stands at 93% as of year-end 2015. This means that we’re able to retain 93 out of every 100 employees in the region last year. Moreover, Ericsson understands the potential the company has to help solve the world’s most pressing problems and the positive effect of the work we do. So we have a very strong sustainability and corporate responsibility strategy which is also a key part of our talent attraction and retention efforts. In fact, 71% of Ericsson employees feel that the company’s efforts on sustainability and corporate responsibility have increased their overall job satisfaction – 15% above the external benchmark for most companies.